Zadar, a small city on the Dalmatian coast of Croatia is built on a peninsula, reaching out into the blue waters of the Adriatic. The sun appears to set at the tip of the peninsula, a vantage point now popular with tourists and local children who sit on the steps listening to the gentle sound of the Sea Organ, waiting for the end of the day. As daylight fades, twinkling lights appear on the ground, dancing round the ‘Greeting to the Sun’. Watching the sunset and the illumination of Greeting to the Sun seems like the perfect end to the day. Even if it is one of the rare days when it rains. Visiting this part of Croatia though, there’s plenty to do. Just a few suggestions for now. 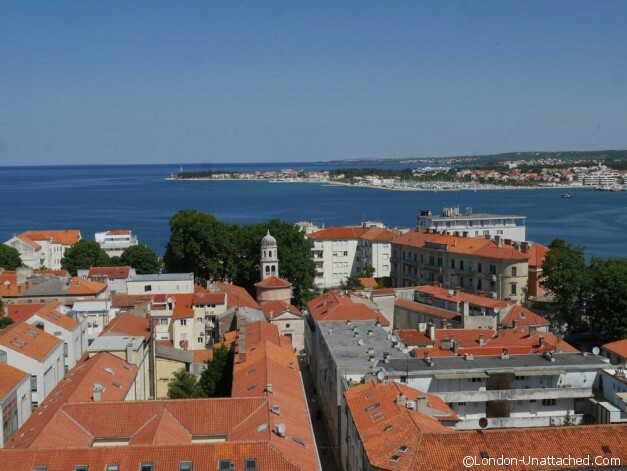 Zadar is an ancient settlement. People have lived here since the late stone age. Walk through the old town to visit the remains of a Roman forum, stretching out to sea. Started in the 1st Century BC, the forum and basilica wasn’t completed until the 3rd Century AD. Besides the columns are the remains of some of the Roman shops and houses which formed part of the city of Ladar. 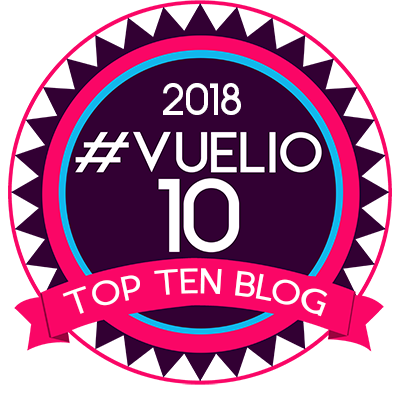 Stop for a while and watch the children playing leapfrog on what remains of the forum itself and local people taking a break, resting on the stone walls of the ancient shops. 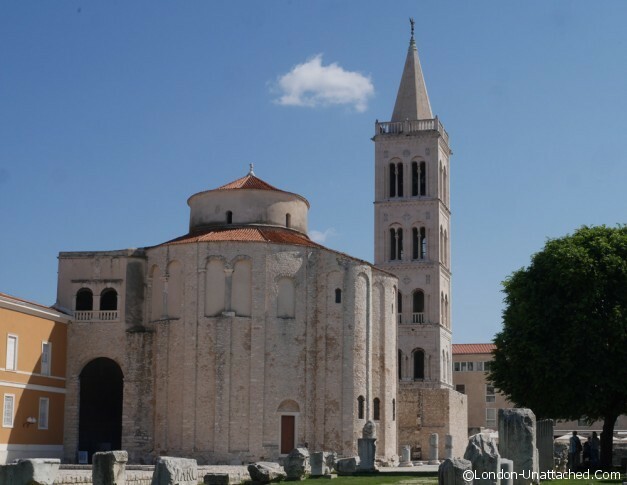 Just behind the Forum, you’ll find St Donatus Church, a 9th century Byzantine construction built using materials from the forum by Donat, the Bishop of Zadar. And, adjacent to that, the bell tower and Cathedral of St Anastasia, originally built in the 4th Century but largely reconstructed in the 13th Century. You can walk to the top of the bell tower, some 180 steps, where you can clearly see the layout of the roads in neat Roman grids. No excuse for getting lost then! There are plenty of places to stop and take a coffee. Make for the People’s Square (Narodni trg) and enjoy a break the local way, passing the time of day sitting outdoors in the sun or shade, listening to street musicians and taking in the fine architecture. A stone’s throw away you’ll find the green market. 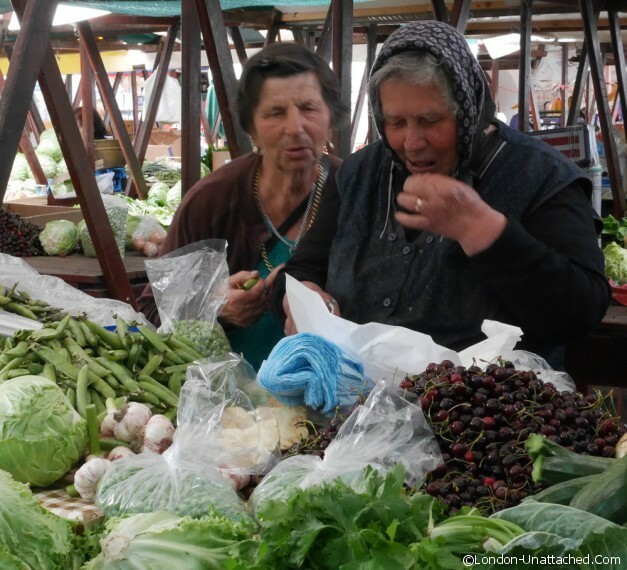 With each stall selling a handful of peas, a few baby artichoke, some freshly pulled carrots or a few pots of honey, it’s clear the vendors have arrived with their own produce, usually picked that morning. The fish market is next door. Worth a visit if you are self catering or camping, again, the produce you’ll find here will have been caught or harvested within the last 24 hours or so. 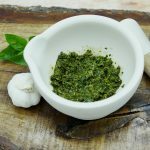 If not, Zadar is full of restaurants and cafes where some of the best things to order include fresh fish, cheese from the nearby island of Pag and lamb, reared on the salt marshes which is full of taste, juicy and succulent. More of the food to come in later features. 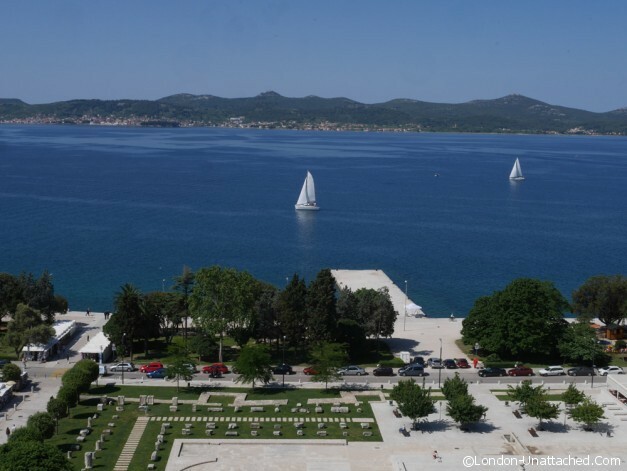 If you tire of Zadar, there’s plenty of places to visit within an easy day trip of the City. Surrounded by natural parks, you can visit Plitvice or Krka for waterfalls or make for Paklenica where you can hike or try your hand at rock climbing in the Velebit massif. There are about 150 islands around Zadar, each with something unique. 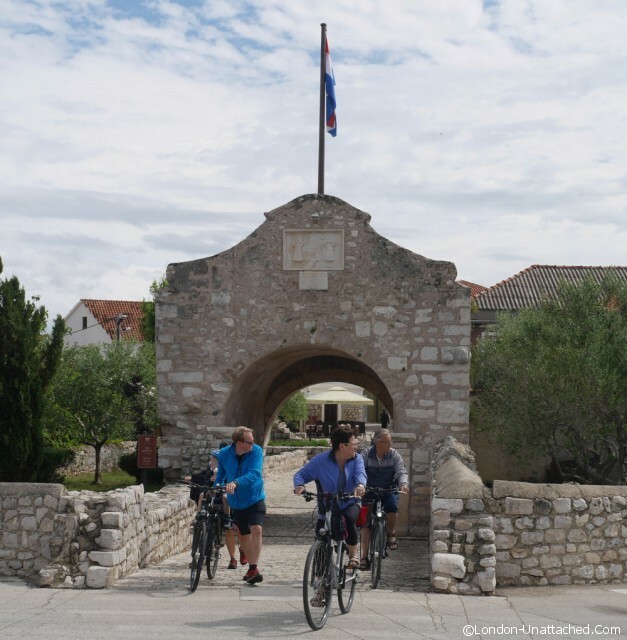 The island of Nin is particularly fascinating, just 15km from Zadar, it’s the oldest Croatian royal town and seven Kings were crowned there between the 7th and the 13th centuries. Pag is famous for its salty sheep’s cheese, for salt production and for a party beach on the far side of the island. Best of all, the entire region seems to be scattered with spa hotels – with prices about a third of those in the UK, you could easily indulge in a couple of days of facials, aromatherapy and massages. 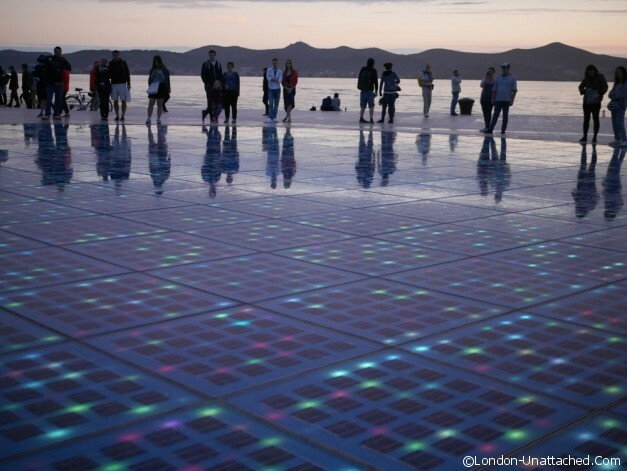 But, maybe, like me, you’ll just get hooked on Zadar itself. 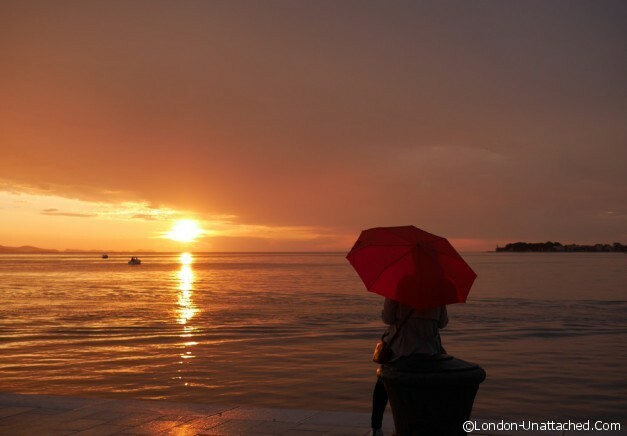 One of the most relaxing cities in Europe, it’s very easy to get into an end of day routine of taking a walk along the seafront to watch that sunset, listen to the sea organ and wait for the greeting to the sun to light up. With many thanks to the Croatian Tourist Board for hosting my trip to Zadar and the surrounding area. I flew direct to Zadar with RyanAir – there are flights several times a week from Stansted and Manchester. The journey takes around 2 hours. Sounds great place to visit, we will be going to Croatia for the first time this year staying on Brac and cannot wait !!! I’d love to visit Croatia and have heard that Zadar is the place to go, this is a really helpful article. Croatia is quickly becoming one of the places I must visit. And the more I read about it is the faster I want to get there. I love your pictures, especially the sunset one. Zadar looks like a very peaceful place. I enjoyed visiting Dalmatia and Zadar was definitely one of the highlights and the sunsets there on the waterfront are truly stunning! LOL I wish I was as good a photographer as you! 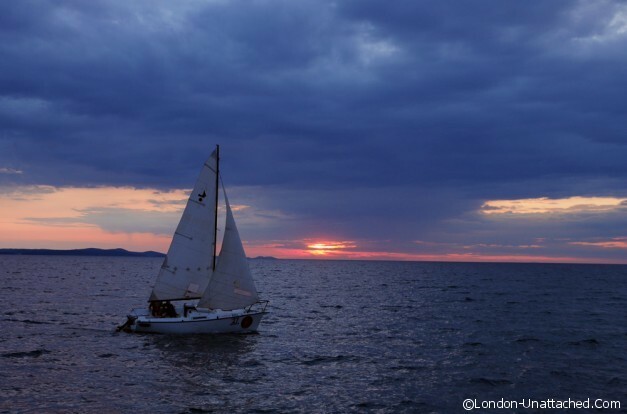 I’ve never tried doing sunset shots before, but somehow in Zadar you have to have a go! I can’t wait to visit Croatia! I almost decided to go this time through Europe but ended up in Budapest – next time for sure!